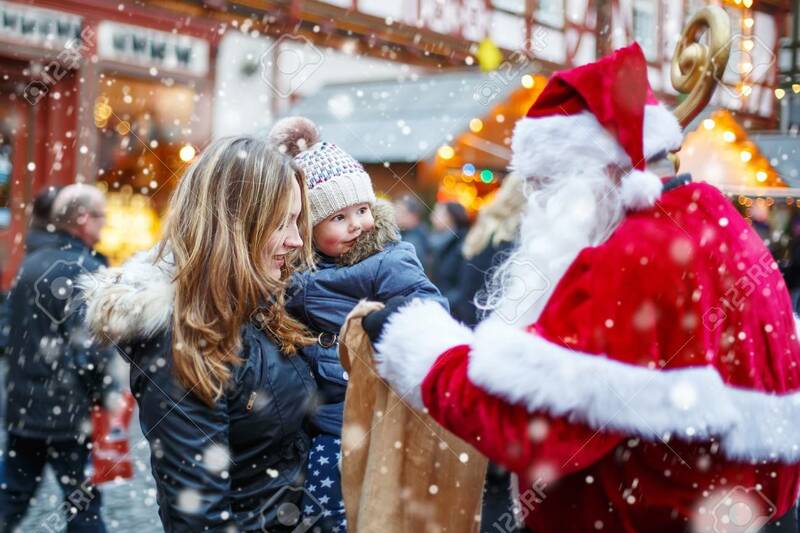 Cute Toddler Girl With Mother On Christmas Market. Funny Happy Kid Taking Gift From Bag Of Santa Claus. Holidays, Christmas, Childhood And People Concept. Happy Family During Snowfall On Winter Day. Royalty Free Fotografie A Reklamní Fotografie. Image 62352666. Reklamní fotografie - Cute toddler girl with mother on Christmas market. Funny happy kid taking gift from bag of Santa Claus. holidays, christmas, childhood and people concept. Happy family during snowfall on winter day. Cute toddler girl with mother on Christmas market. Funny happy kid taking gift from bag of Santa Claus. holidays, christmas, childhood and people concept. Happy family during snowfall on winter day.